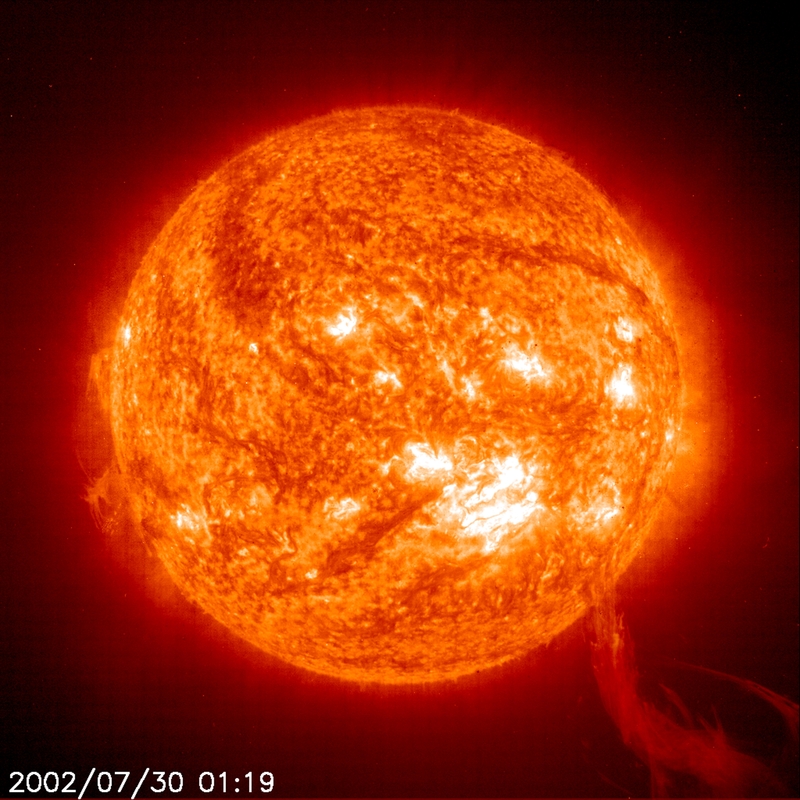 A long whip-like eruptive prominence is captured in this EIT 304Å image on 30 July 2002. Although one end of the prominence is still attached to the Sun, it probably broke away soon after the image was taken--it was gone in the next image 6 hours later. Prominences are huge clouds of relatively cool dense plasma suspended in the Sun's hot, thin corona. At times, they can erupt, escaping the Sun's atmosphere. Emission in this spectral line shows the upper chromosphere at a temperature of about 60,000 degrees K.